Calculating fertilizer application rates is just math, a simple formula. Here's an explanation for you to reference when you need it. A. How many square feet is your lawn? The Yard Area Calculator on our website will help you calculate your square footage. B. Fertilizer Rate for your type of lawn? We recommend 3 separate applications of nitrogen (N) fertilizer. Familiarize yourself with the annual recommended nitrogen fertilizer rates for your type of lawn. 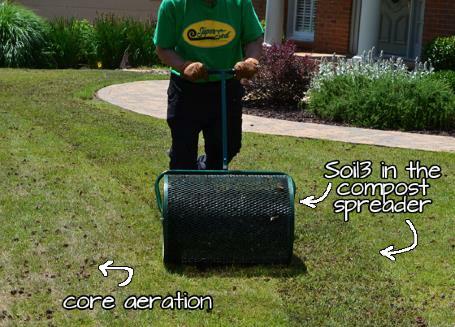 Divide that annual recommendation into 3 so you know how to proceed with one fertilizer application. Fertilize when growing in the warm months (summer). Fertilize when growing in the cool months (not now!). C. Then, get a soil test and fertilize based on that feedback. You may need less fertilizer than you think you need. Read this post and watch the video on how to conduct a soil test. We recommend Waters Agricultural Laboratories as the best soil testing service for our southeastern soils. D. Look up the nutrient analysis (nitrogen-phosphorus-potassium a.k.a. N-P-K) on the fertilizer bag. 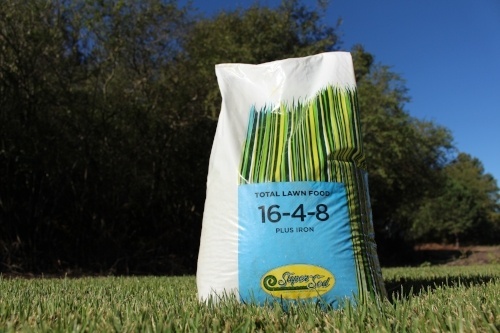 We recommend our 20 lb bags of 5-10-30 for Centipede and 16-4-8 for Bermuda, Zoysia, St. Augustine, and Tall Fescue. Example Scenario: You have a Bermuda lawn and intend to apply N at the low end of the range, at the rate of 3 lbs N a year. Separate this into 3 applications of 1 lb N each time. Here’s the math for the fist treatment of 1 lb N in May or June using 20 lb bags of our 16-4-8 for a 7,000 sq. ft. lawn. -Calculations are first based on fertilizing a 1,000 sq. ft. area; then for your specific square footage. -There are different formulas to calculate the fertilizer rate; this one factors weight of the bag at the end. 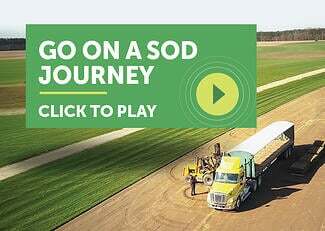 -You can apply the 4 steps to other fertilizer blends to determine how many bags to purchase. Step 1: Determine percentage of N in the bag. Take the first number in the ratio, which represents percent N in the bag, and divide it by 100. 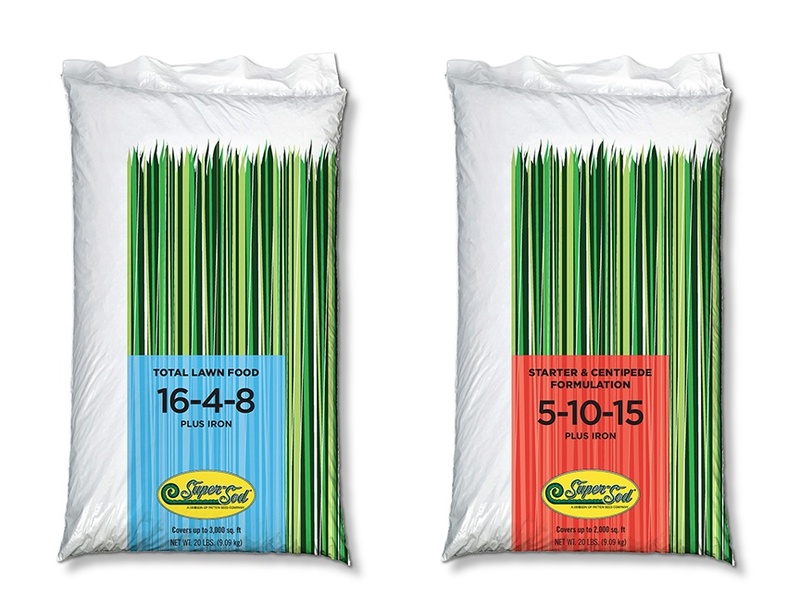 Step 2: Determine how many lbs of a particular fertilizer you need for 1,000 sq. ft. You want to apply 1 lb N to 1,000 sq. ft. so you divide that number by the percentage of N in the bag. 1 lb ÷ .16 = 6.25 lbs of 16-4-8 should be applied per 1,000 sq. ft. Step 3: Determine how many lbs of that fertilizer you need for your square footage. Based on 6.25 lbs (the pounds of 16-4-8 needed per 1,000 sq. ft. determined in Step 2), calculate how many pounds are needed for the first application to your lawn, in this case a 7,000 sq. ft. area. Step 4: Determine how many bags to buy for 7,000 sq. ft. This is where the weight of the bag comes in. Divide the lbs needed by the weight of the bag. 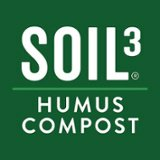 If you are compost topdressing with Soil3 to build better soil structure and practice organic fertilization, then topdress for one fertilizer application instead of spreading fertilizer. Separate the annual recommended Nitrogen rate into the amount of applications you prefer, we recommend at least 3 "split" applications. At least 3 applications provides a more consistent feeding and safeguards against burning the lawn with too much fertilizer at once. Warm Season Lawns: Fertilize with Nitrogen through the growing season; starting after spring green up and when soil temperature is above 65 degrees F. Typical months for fertilizing warm season lawns with N are May, June, July, August. Tall Fescue (a cool season lawn): Fertilize at least 3 times a year, during Tall Fescue's growing season in autumn, winter, and early spring. As of now, stop fertilizing Tall Fescue for the summer. A rule of thumb is no Nitrogen fertilizer on Tall Fescue during the warm months of May, June, July, and August. This same calculation can also be used to calculate how many pounds of phosphorus and potassium you are appliying, but that isn't typically done unless there is an unusual deficiency in those two elements, with special applications of them required. 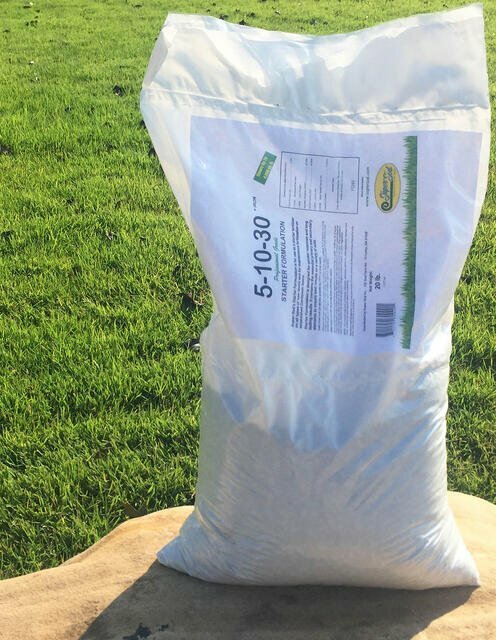 Based on the amounts of nitrogen needed for a particular lawn, this same formula can be applied to determine the pounds of nitrogen available in any fertilizer blend you have access to.